A sharp, funny, delightfully unhinged collection of stories set in the dark world of domesticity, American Housewife features murderous ladies who lunch, celebrity treasure hunters, and the best bra fitter south of the Mason Dixon line. Meet the women of American Housewife: they wear lipstick, pearls, and sunscreen, even when it's cloudy. They casserole. They pinwheel. They pump the salad spinner like it's a CPR dummy. And then they kill a party crasher, carefully stepping around the body to pull cookies out of the oven. These twelve irresistible stories take us from a haunted prewar Manhattan apartment building to the set of a rigged reality television show, from the unique initiation ritual of a book club to the getaway car of a pageant princess on the lam, from the gallery opening of a tinfoil artist to the fitting room of a legendary lingerie shop. Vicious, fresh, and nutty as a poisoned Goo Goo Cluster, American Housewife is an uproarious, pointed commentary on womanhood. HELEN ELLIS is the acclaimed author of Eating the Cheshire Cat. She is a poker player who competes on the national tournament circuit. Raised in Alabama, she lives with her husband in New York City. "Macabre does not even begin to describe this collection steeped in the Southern Gothic tradition. Flannery O'Connor would turn green with equal parts sick and envy.... [T]his dark, deadpan and truly inventive collection is one you'll wish to relish long after its sell-by date." “Ellis’s 12 short stories about women under pressure are archly, acerbically, even surreally hilarious. By extracting elements from the southern gothic tradition, Shirley Jackson, and Margaret Atwood, Ellis has forged her own molten, mind-twisting storytelling mode. Her pacing is swift and eviscerating, and her characters’ rage and hunger for revenge are off the charts… Perfectly crafted… A breath-halting balance of slashing absurdist humor and rich and authentic emotional sensitivity… With monstrous children and cats, hopeless husbands, and covertly dangerous women, Ellis takes down the entire housewife concept with a sniper’s precision. These are delectably revved up, marauding, sometimes macabre tales of ruined marriages, illness, infertility, crass commercialism (literary product placement), desperation, ghosts, even murder, featuring women of shrewd calculation, secret sorrows, and deep sympathy." "Sorry, Andy Cohen: Ellis' collection of 12 short stories is far more entertaining than any recent episode of Real Housewives, no matter what drama Bravo manufactures. Ellis' ladies are hilarious, honest, and delightfully bizarre (you'll never look at a box of Tampax or a salad spinner the same)—and the type of group you'd love to have over for a dinner party (or just wine). We know the whole purpose of short stories is to be, well, short, but this book left us wishing that each of Ellis' characters had a novel of her own." 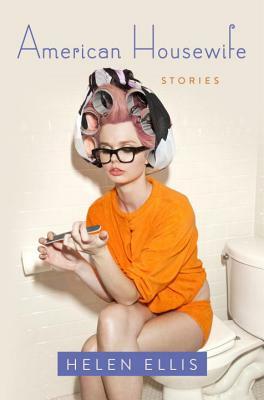 "Lazy husbands, sociopathic mother-in-laws, offbeat book clubs and bra fittings take center stage in Ellis’ book, sure to leave readers either laughing, wincing or both at the same time... [D]elicious… Ellis paints a retro-feminist portrait of the modern-day housewife... They are stylish, assertive, graceful and deranged... If you seek solace in fearless women who can whip up Martha Stewart-style five course meals after having an epic breakdown, then this book is for you."